Certain points stand out among the many details of the book. First among these is the immense suffering that the Vietnamese people suffered at the hands of the Communists. Mr. Botkin vividly demonstrates this with incidents of the North Vietnamese Army’s (NVA) intentional targeting of innocent civilians. 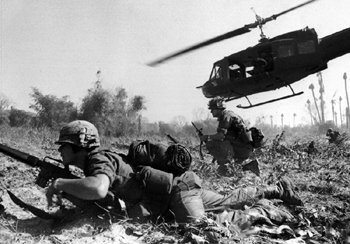 Despite the operation’s enormous scope, South Vietnamese and American forces had already regrouped and began a counterattack within hours of its first salvos. They were so successful that other than continued fighting in Hue and Khe Sanh, the entire offensive was defeated within two weeks. In Hue, expelling the Communists took twenty-seven days, while the enemy eventually abandoned Khe Sanh as well. The bridge’s superstructure was a hulking construction that had been made by American Seabees. It was supported by six enormous I-beams three feet tall. To destroy it, Colonel Ripley would have to hand-walk and crawl 500 pounds of TNT and plastic explosives one hundred feet into its underbelly. All the while, he would be submitted to continual enemy fire. His difficulties were multiplied by the sleep and food deprivation he had suffered throughout the previous days. The stories of these three heroes and much more are included in Rich Botkin’s Ride the Thunder. This makes it a must-read for all military-loving Americans and especially those who are interested in knowing the true history of the Vietnam War — one not tainted by politically correct historians intent on criticizing America and especially its military. 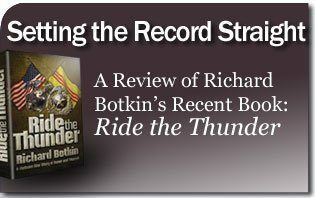 Nevertheless, Ride the Thunder is an exciting and highly informative read. No military library is complete without it. Above all, it does what needs to be done: It sets the record straight. 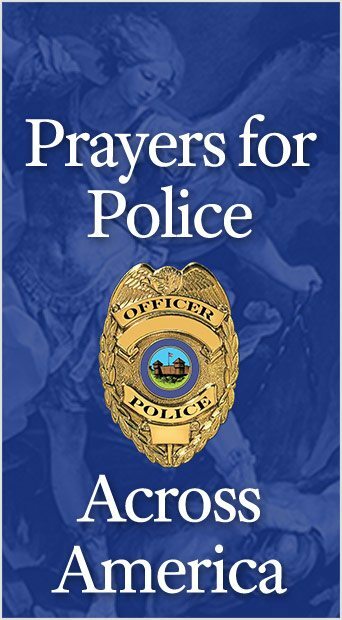 This entry was posted in TFP Recommends Books and tagged 1972, advisor, Ai Tu, American, Asia, Book Review, bridge, civilian, colonel, commander, communist, Cua Viet River, danger, defeat, DMZ, Dong Ha, Easter Offensive, Gerald Turley, history, Ho Chi Minh Trail, Hue, John W Ribley, Josh Dorsey, Khe Sanh, Le Ba Binh, leader, march, Marine, military, Navy, North, NVA, Officer, policy, President Nixon, public, Richard Botkin, Ride the Thunder, river, Saigon, Seabees, Setting the Record Straight, Soi Bien, south, strategic, tank, Tet Offensive, TFP Recommends, USMC, valor, victory, Vietnam, Vietnamese, War, Wolves of the Sea by TFP.org. Bookmark the permalink.